Bible trivia games are great for youth group. Here is one list of questions and answers on a Christmas theme for your youth group or children’s ministry Christmas party. Here is a sample icebreaker game for the church Christmas party. first to receive a door prize. Brainstorm additional ones ahead of time. This list below is to get you started for this icebreaker for your church Christmas party. 1 point if you’ve started sending your Christmas cards, and 3 points if you’ve finished them. Have you started started Christmas shopping? 1 point if you have, and 3 points if you’ve finished all of your Christmas shopping. Give yourself 3 points if you’ve got your Christmas Turkey bought. Give yourself 3 points if you’ve got your Christmas Ham bought. Are you playing Christmas music in your car or at home? 2 points. 1 point if you’ve put up your Christmas tree, and an extra 3 points if it is real. 1 point if you’ve begun your Christmas baking, and 3 points if you’re all done it, and 5 if you have eaten it all. If you’ve started wrapping your Christmas gifts, give yourself 1 point. If you’ve wrapped all your Christmas gifts, give yourself 5 points. If you’ve put Christmas decorations outside your home, give yourself a point. 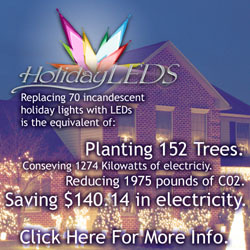 Give yourself an extra point if you’ve put up lights outside your residence. Are you in a church musical performance like a cantata or Christmas eve choir? 2 points. 1 point for each theme if you can name each Sunday theme in Advent. Do you have some additional items to contribute to this list of icebreaker points for the church Christmas party? Add them in the comment fields below. . . As they come in, I’ll add them to this list. Want more Christmas Party Icebreakers? Read my review about the resource of Christmas Party Games for Youth. It’s a better and more complete resource than my website and has several Icebreaker games for your church Christmas party. Everyone enjoys Hershey’s Chocolate Kisses at their Christmas party. At my house, the red and green bags are dumped into a bowl that we pick at during the entire party. Supplies: Bowls, bags of Hershey Kisses. Oversized mittens or gloves, one pair for each team. Setup: Have two bowls of Hershey’s kisses at the other end of the room. For this Christmas party game, divide your group into two teams. Give each team one set of the oversized gloves. The first person in line runs to the bowl of Hershey kisses. They are to take one and to unwrap the Hershey Kiss while wearing the oversized mittens/gloves and pop the kiss into their mouth (unless they are allergic to chocolate). They run back, tag the next person in line, and exchange the mittens/gloves and the next person runs forward to get a chocolate kiss. The winning team of this Christmas party game is the one in which all members have enjoyed a Hershey kiss. Read more about the resource of Christmas Party Games for Youth. It’s a better and more complete resource than my website. This Christmas party game could be pretty silly relay for youth groups, and maybe your young adult group. How about making a Santa beard as a relay race for your Christmas party? Imagine the humor, the laughter, and the all out sillyness as your teenagers or young adults try to accomplish the goal of this Christmas party game. Supplies: Two big bowls of cotton balls, a container of Vaseline or some similar product. Setup: Place the bowl of cotton balls on a table at one end of the room, as the “goal” for the relay race. Put some Vaseline on the chins of each member of each team (ideally, 2 teams of about 5 people each). The first player in line run to the bowl of cotton balls at the other end of the room. They stick their chins in the bowl. Goal is to get as many cotton balls to stick as possible, without using your hands. The player runs to the back of their line, and the next player runs their turn. When everyone on a team has a beard, that team wins. Be sure to take lots of pictures of everyone wearing their Santa beards. Cleanup: Also have plenty of towels and water to get the Vaseline off. Want more Christmas Party games? Read my review about the resource of Christmas Party Games for Youth. It’s a better and more complete resource than my website. What about the first Christmas? It cost Mary and Joseph the comforts of home during a journey to Bethlehem and an angel-directed exile in egypt to protect the Christ child from the wiles and wrath of Herod. It cost mothers and fathers in and around Bethlehem the massacre of their babies by the wicked Herod. It cost the wise men a long journey, expensive gifts of gold, frankincense, and myrrh. It also cost them changed lives and a journey home by another way. It cost the early apostles and the church persecution and sometimes martyrdom. It has cost missionaries untold suffering and privation to spread the good news, to preach the gospel of Christ. What did Christmas cost God the Father? It cost Him more than all for it cost the Father His only begotten Son. What did Christmas cost Jesus? It cost Him a life of sacrifice and service, a cruel death that is unmatched in history. Is Christmas costly? The answer is yes. You might find a way to read this as a devotional reflection during a Christmas party. Perhaps it can spark some discussions about commercialism. Let me ask you this? How would you use this devotional reading at a Christmas party for your church or youth group? Here is a sample Christmas Party ice breaker and conversational guide that is similar to the one found on page 38 of Christmas Party Games from Creative Youth Ideas. You can probably find this party game for Christmas everywhere on the internet but what I like is the discussion applications to help break the ice for some great conversations over the eggnog or punch. Name of Party Game: Christmas Forward and Backward. When I played variations of this in youth group during other seasons, I called it Move to the Left or Right. Energy level of Christmas Party Game: Low, using chairs in a line. How to play: Move forward or backward depending on the criteria that is called. If someone is already occupying that chair, sit on their lap. Move forward if you are wearing green. If you plan to go to church on Christmas eve, move back one chair. The actual resource of Christmas Party Games for Youth suggests 30 different criteria for this xmas party game. That should be enough to stir your creativity for more. As a talking point, you can talk about moving forward or moving backward in life. As you think about your relationships this past year, have you moved forward or backwards? As you think about your spiritual life, have you moved forward or backwards? Did you reach any goals you may have had at the beginning of the year for your spiritual life? Take a few moments to plan where you want to be spiritually at the end of next year. In your relationship to God? This party game for Christmas can be a great ice breaker to start future conversations later over that bowl of eggnog. Your guests might volunteer with you 1-1 where they would like to grow spiritually later that year. I'm Chris Walker. I did youth work in various churches for nearly fifteen years (Methodist, Presbyterian, Assemblies of God), before taking my first associate pastor call in a Presbyterian Church. I remember each Christmas season trying to come up with various Christmas Party Game ideas that I could use in our youth group or young adult Christmas parties. It was a routine every Christmas season. What Christmas Party games can I use that will help me point people to Christ?